Former Congressman Beto O'Rourke on the campaign trail in Michigan. 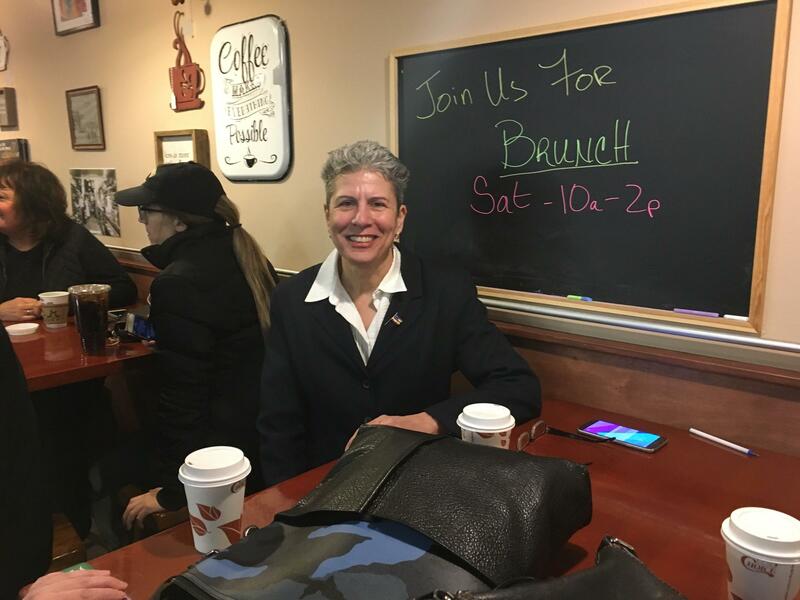 Barb Sudomier says Texas Democrat Beto O'Rourke is her preferred candidate. important. How are we going to get anywhere if nobody works across the aisle?" Others came just to hear what this particular candidate had to say, like Randy Madding. "Michigan is going to be the high point for candidates this election cycle," says Madding. "I want to see as many as I can, and so this is the first one. I think it's important because I think our country's in great peril and we need to make some changes." "The President, for sure," laughs Madding. "We need to have civility and normalcy back into our country. We're too divided, there's too much anger, there's too much violence. This isn't the country that we should have." The crowd erupted in cheers and chants of "Beto, Beto!" when O'Rourke appeared. He gave a wide-ranging and energetic speech, from the need to use military resources, including soldiers' lives, more carefully and strategically, to the need for universal health care, to the pressing threat of climate change and the Green New Deal. 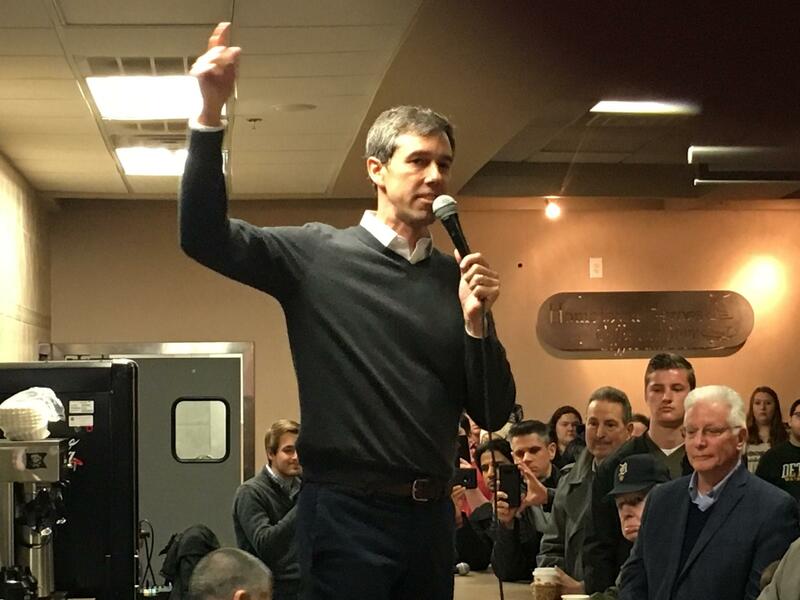 O'Rourke said if elected, he would represent everyone, Republicans and Democrats alike, and would not let "the perfect be the enemy of the good," brokering compromises if necessary to solve problems. O'Rourke also took questions from the crowd, including one from a woman who drove to Centerline from Flint. She asked what he would do to make sure people have clean and safe drinking water. O'Rourke agreed it was a serious problem that needs to be addressed all across the country, and especially to provide economic justice to people in distressed communities like Flint. "Campaigning across Texas, I found that there are 48 water systems just in my home state where it is not safe to drink the water," O'Rourke said. O'Rourke, 46, is one of 15 Democrats who've announced they're running for president, including U.S. Senator Kirsten Gillibrand of New York, who also made campaign stops in Michigan on Monday. Republican President Donald Trump plans a campaign rally in Grand Rapids at the end of March.